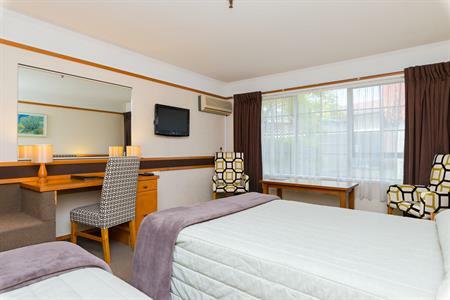 Treat the whole family to a weekend away or a school holidays getaway at Distinction Whangarei Hotel. 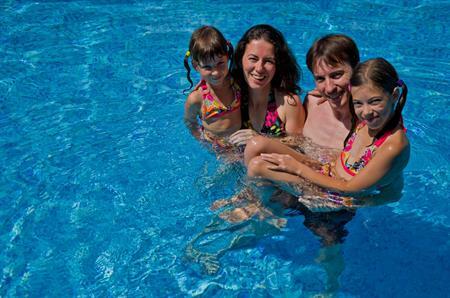 This package includes 1 night’s accommodation for 2 adults and 2 children (12 years and under). 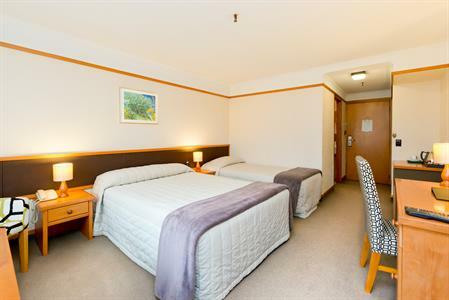 Stay in one of our Standard Twin Rooms (1 x double bed + 1 x single bed + 1 x rollaway bed) or upgrade to a Junior Suite (2 x single beds + 1 x queen bed in separate bedroom). 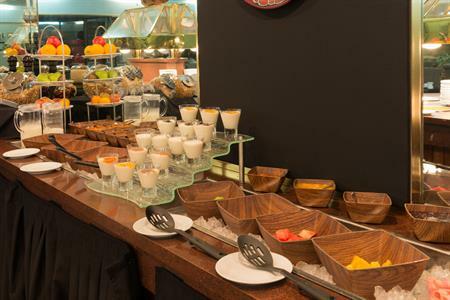 + A full cooked buffet breakfast for everyone at Distinction Whangarei's on-site restaurant (excludes room service). 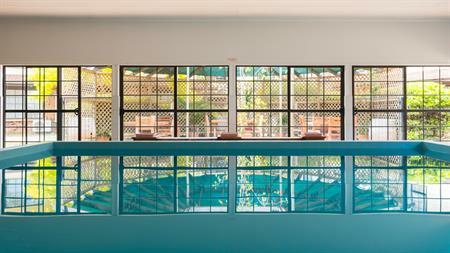 + Complimentary use of our heated indoor pool, spa & gym. 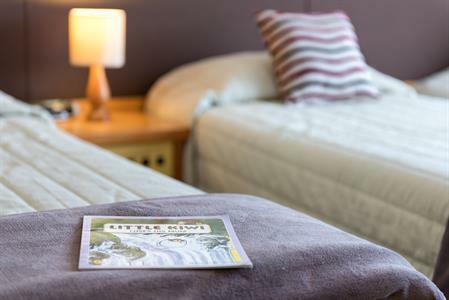 + Late check-out of 12 noon - enjoy a 'sleep in' or see a little more of Northland! + Children dine ABSOLUTELY FREE from our kids menu! (One child’s meal per adult having a main meal in the on-site Portobello Restaurant). + FREE unlimited WiFi and access to 50+ SKY TV channels including a myriad of children's' channels - perfect for keeping the kids entertained. From $149.00 per night for up to 2 adults & 2 children (12 years & under). Available Fri, Sat & Sun nights and every night throughout the NZ school holidays (subject to availability). 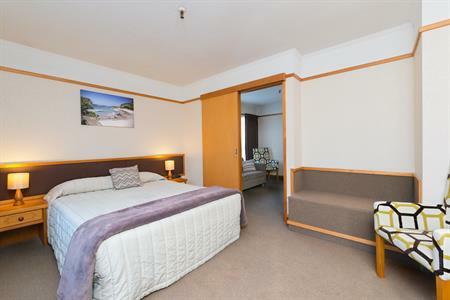 If you need more space for your family, consider booking our Junior Suite which has 2 x single beds in the living area and a separate bedroom with queen bed. Subject to availability and upgrade fee will apply. Scroll down to make an online booking. No refunds are permitted on Treat the Family accommodation bookings. In the case where cancellation or amendment of a booking is required, the full quoted amount of the reservation will be charged. Guests requiring alternative accommodation dates will need to rebook, no amendments/transfers permitted. 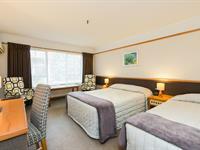 Ideal accommodation in the heart of Whangarei for families or groups of friends travelling together. 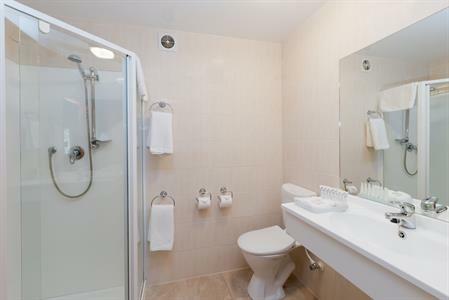 Ensuite bathroom with shower & complimentary toiletries. 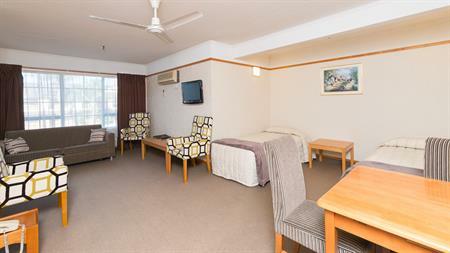 Air-conditioning, flat screen TV with 50+ SKY channels, FREE unlimited WiFi. 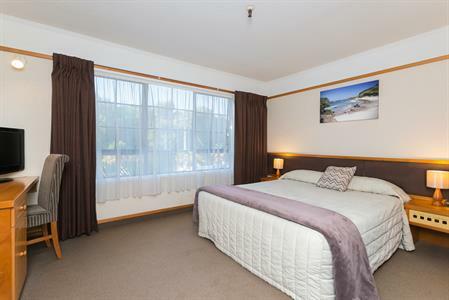 Spacious Whangarei accommodation, perfect for families or groups of friends travelling together. 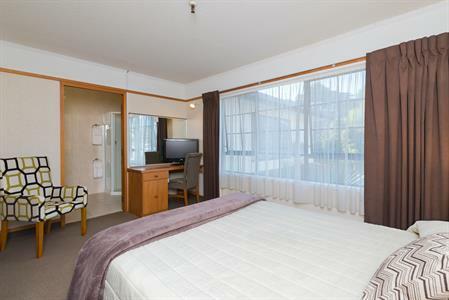 Separate bedroom and seating area + ensuite with shower & complimentary toiletries. Sorry, rates and availability information is not accessible for selected dates. 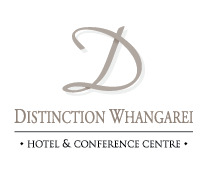 Please contact us by email: reservations@distinctionwhangarei.co.nz with your enquiry. Thank you.